National Park Service Turns 100! Happy Centennial Birthday to the National Park Service! Unless you’ve been hiding in a cave, (which you can do in several National Parks) then you certainly are ready to celebrate the National Park Service’s 100th birthday this August 25th, 2016. We always recommend getting your wild on while celebrating the Centennial in one of the 412 areas covering over 84 million acres with spectacular National Parks like Acadia, Joshua Tree, The Great Smoky Mountains, and Yellowstone. With fantastic camping, wildlife viewing, hiking, biking, rock climbing, spelunking, and even snorkeling, yes that’s correct we said snorkeling, you are sure to have a memorable experience exploring a National Park. The best part about celebrating the National Park Service’s 100th birthday is that the parks themselves are the gift. The National Park Service was created by an act signed by President Woodrow Wilson on August 25th, 1916. Ever since then the National Park Service has not only been providing stewardship for unequaled protected wilderness areas, but also for battlefields, monuments, historic sites, lakeshores, and seashores, as well as the White House and more. To really illustrate how big of a deal the National Park Service’s Centennial Birthday is, the United States Postal Service is issuing 16 postage stamps, there is an IMAX film, and the U.S. Mint is offering three new commemorative coins. Kids can get in on the action by completing an entertaining and informative book about the 100-year history of the National Park Service and earn their Centennial Junior Ranger Badge! 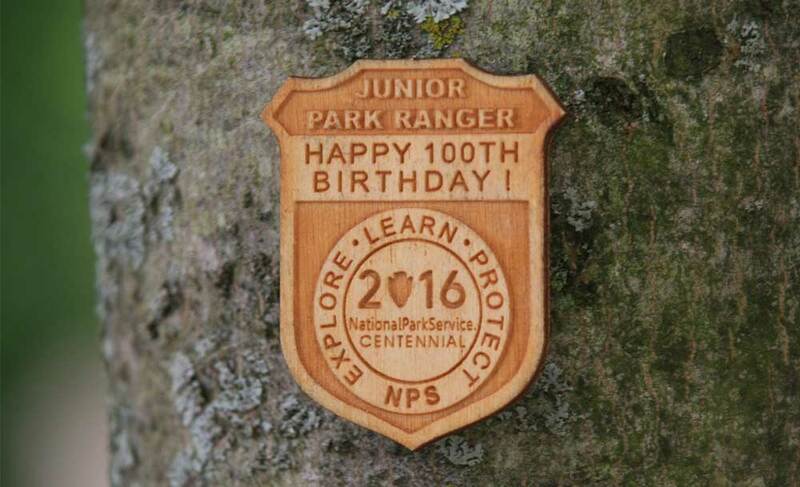 We here at Campers and Gear want to wish the National Park Service a very happy 100th birthday and hope that in another 100 years the Bi-Centennial celebrations will be even better. So get out and enjoy the gifts that are our National Parks. We guarantee that you will have the time of your life. After all over 300,000,000 visitors each year can’t be wrong!